!! *** This is your warning! This blog is about foods that cause lust! I’m in the full grip of food lust! I was just reading the paper and now I’m fantasizing and drooling at the same time. So I thought I could share with you all and maybe purge my lust by writing about it. You will notice that ketchup flavoured chips are not on the list! 1. Butter tarts –I can make these and almost every Canadian Family has a “recipe” that has been handed down for generations. You cannot go wrong with flaky pastry, butter, and sugar. I’ve even left out the raisins and they are still melt in your mouth good. 2. 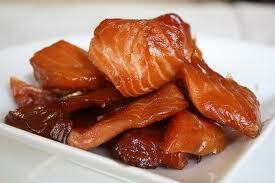 Smoked salmon – Hot smoked, cold smoked, salmon candy, dry smoked, chum, sockeye etc…… mmmmmmm….smoky goodness. I work in the First Nations community and treasure fall salmon smoked over alder or apple. Just ask my sister, Dale, in Toronto how amazing this! NOT LOX!!! 3. Poutine – I’ve drooled on about this dish before but it is hard to compete with the original of fresh cut fries, gravy, and cheese curds. Yep, the squeaky white ones! The heat of the chips (I personally prefer to call the ones cut from fresh potatoes and fat blanched then deep-fried to perfection – chips) starts to melt the cheese curds then the rich gravy finishes the job and coats each forkful with dreamy goodness! There is nothing physically healthy about this dish but spiritually it is uplifting! 4. 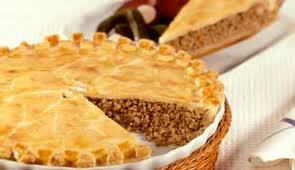 Tourtière – I think I’ve mentioned this one before. I lived in Montreal when I was very young and had the real thing. 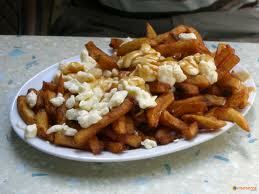 I’ve even made it according to an old Quebecois recipe. It’s a Christmas Eve tradition and is a flaky pie-crusted dish of richly seasoned ground pork. Mmmmm – my mouth is watering – seriously. 5. 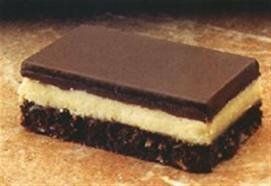 Nanaimo bars – This amazing dessert bar is named after a city here on Vancouver Island – Nanaimo. 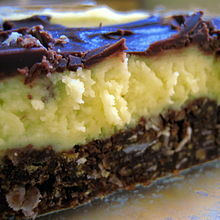 It is an uber-rich three-layered bar which starts with a base that contains graham crackers, coconut, butter and then a layer of vanilla custard cream topped by pure chocolate. These are now world famous and tourists can’t wait to buy them on the BC Ferries! I have made these but what starts out as a 9 X 13 panful ends up as a 6 X 6 square for the rest of the family. 6. Alberta beef – Ribs, steaks, prime rib! 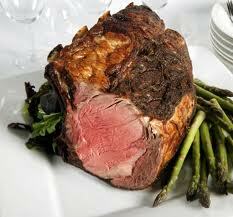 Mmmmm – BBQ’d, oven-roasted, stew, or over a campfire – there is no bad way to cook this amazing beef. Raised on rich prairie grass and fed healthy Canadian grain, Alberta beef is perfect to fill that protein need of any omni- or carni-vore. A grilled, rare t-bone would be nice right about now! 7. Fresh B.C. 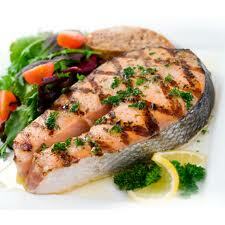 salmon – Pinks, coho, sockeye, springs, fresh out of the salt chuck are beyond amazing. I know I’m spoiled living here on Vancouver Island. I can’y even eat canned salmon but just caught and cooked on the BBQ is heaven on a plate and so freaking good for you with all those Omega 3’s. 8. 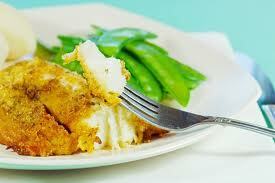 Pickerel – Manitoba pickerel also know as walleye in other parts of North America. It’s not a fish I’ve ever tried but it’s now on my list. Sweetbreads are NOT on my list! 9. Lobster – Lobsters are the finest gems of the sea. 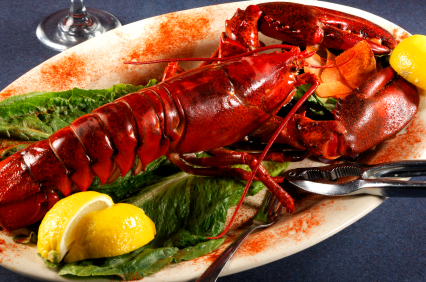 The entire Maritime Provinces produce the most amazing lobsters in the world! I spent the first six years of my life in Nova Scotia. I thought everyone grew up on lobster and the bagpipes! They are glorious creatures which we deserve to enjoy in all the good ways and feel great guilt over later. Only about the calories, though. 10. 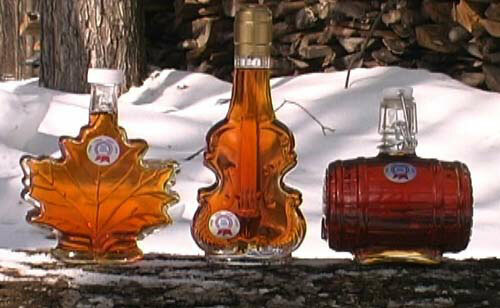 Maple syrup – Canada, Quebec in particular, is the biggest producer of maple syrup in the world. It’s unique sweetness is echoed in the flag of our country!!! When we lived in Montreal, Mom even had a gallon tin in the cupboard. 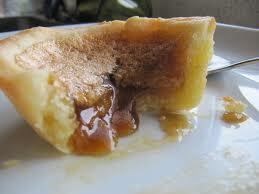 Maple syrup pie – ohhhh I’m losing it….Maple syrup can be graded like fine wines from the palest of gold to dark, rich amber. The flavours are from: subtle to hit-you-over-the-head. Maple sugar is a treat everyone in the world should try at least once and what are pancakes without real maple syrup. I’m sorry Aunt Gemina! Well, I’m done for today. I think I got it out of my system. I hope I made all of you out there fantasize and drool a wee bit. If not…think of your dream foods and list them. What they are, what they taste like, how to make them the smells, the sensations the…. you know…. ~ by 1fatgirlshrinking - Diane Kirby on July 12, 2012. If you get a chance go to a Lobster Dinner in a local community.So much fun and amazing people. How are you like Nova Scotia! So sorry! Today, it’s about celery! good! I don’t dribble over celery!! Just wish to say your article is as astounding. The clearness in your post is simply excellent and i could assume you¡¯re an expert on this subject. Well with your permission let me to grab your feed to keep updated with forthcoming post. Thanks a million and please continue the rewarding work. Thanks for the recommendations shared on your own blog. Another thing I would like to say is that weight reduction is not information on going on a dietary fad and trying to reduce as much weight that you can in a couple of weeks. The most effective way to shed pounds is by taking it bit by bit and right after some basic ideas which can assist you to make the most from your attempt to drop some weight. You may recognize and already be following a few of these tips, although reinforcing expertise never affects.